A second audition will take place at the start of Fall semester for Freshmen only (there is no need to audition twice - all who audition on April 16th will still be in consideration for other roles). A second callback for all other roles will take place at the start of the Fall semester. More information will be given closer to the beginning of Fall semester. Auditions on April 16th will be from 7:00 – 10:30PM in room 115. The holding room will be room 116. A sign-up sheet will be posted on the callboard tomorrow. Please sign-up in the earliest available time slot. Actors are asked to prepare a 24-32 bar-cut from a song of their choosing. Students are encouraged to choose something from the musical theatre canon that showcases their storytelling ability. 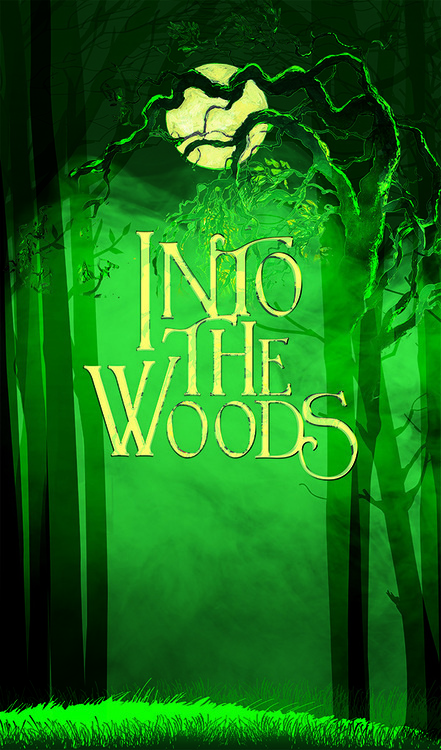 Your song can come from another Sondheim show or Into the Woods. Callbacks will be April 17th from 7:00 – 10:30 PM in room 206. A movement call will also take place at the same time in rooms 114 and 115. Be prepared to stay the entire time if needed. Further information about callbacks will be provided once the callback list has been posted. Callback sides (from the script and score) and a copy of the libretto have been placed in the work room (room 107) for your perusal only. Please do not remove these from the work room. Actors should arrive at least 30 minutes before your audition time to sign in and warm-up. If you have any questions, please feel free to contact me or Stage Manager, Lindsey Boyette.